Style and musical elegance combined with an intuitive theatrical sense are the hallmarks of soprano Monica Whicher’s performances on the concert and opera stage. She has performed with orchestras, opera companies and at chamber festivals across Canada, the United States, Mexico, Europe and Asia with conductors including Helmuth Rilling, Peter Oundjian, Jukka-Pekka Saraste, Franz Paul Decker, Steuart Bedford, Yannick Nezet-Seguin, Duane Wolff, Pinchas Zuckerman, Trevor Pinnick, Hervé Niquet, Andrew Parrott, Harry Bicket, Timothy Vernon and Alexander Weimann. 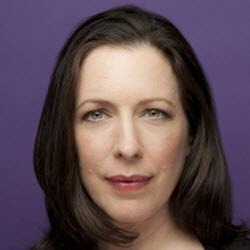 Ms. Whicher was nominated for a Juno Award for “Singing Somers Theatre” (Centrediscs) and two Dora Mavor Moore Awards. Critically acclaimed for her portrayals of Mérope in Lully’s Persée (DVD) and Telaïre in Rameau’s Castor et Pollux (both Naxos), she is also featured on the Juno-Award winning CDs Mozart’s Magic Fantasy, Beethoven Lives Upstairs and Daydreams and Lullabies. Other recordings include Lullabies and Carols for Christmas, with harpist Judy Loman (Naxos), Hatzis’ Erotikos Logos (Marquis),) and Centrediscs recently released, Juno-nominated Breathe: Music for Voices and Early Instruments by James Rolfe. Monica appears on The Art Songs of Mykola Lysenko, The Art Songs of Yakov Stepovyi, and The Galicians l and ll, all for the Ukrainian Art Song Project. Best known as the concertmaster of the Canadian Opera Company Orchestra (COC), Marie Bérard is also a sought-after chamber musician, soloist, recording artist and teacher. She is a former member of the Toronto Symphony Orchestra and has performed with a variety of smaller ensembles such as Amici, Array Music and New Music Concerts and is also a member of Trio Arkel as well as the ARC Ensemble which has toured in Europe, China and the United States and was twice nominated for a Grammy Award for their Sony recordings. Highly regarded as an interpreter of contemporary music, Ms. Bérard has released a recording of a concerto by Henry Kucharzyk for violin and brass ensemble on the Opening Day label and can be heard on numerous CBC Records including the Meditation from Thais on with the COC orchestra. Ms. Bérard is a regular performer at numerous chamber music festivals, notably the Domaine Forget International Festival, the Ottawa International Chamber Music Festival, The Blair Atholl Festival in Scotland, and holds the position of Associate Concertmaster of the Mainly Mozart Festival in San Diego. Ms. Bérard joined the faculty of the Glenn Gould School in the fall of 2000 and plays a 1767 Pietro Landolfi violin. Renowned for his luminous voice “capable of the most powerful explosions as well as the gentlest covered notes” (Toronto Star) baritone Russell Braun rightfully claims his place on the concert, opera and recital stages of the world.Â His intelligent and thoughtful portrayals of Chou En-lai, Billy Budd, Prince Andrei, Figaro, Papageno, Count Almaviva, Don Giovanni, Pelléas, Eugene Onegin, and The Traveller have captivated audiences at the Metropolitan Opera in New York, l'Oéra de Paris, the State Opera in Vienna, the Royal Opera, Covent Garden, the Los Angeles Opera, La Scala in Milan, and at the Salzburg and Glyndebourne festivals. The highlight of Russell’s 2016-2017 season is the title role of the Canadian Opera Company’s new production of Louis Riel in Toronto at the Four Seasons Centre and in Ottawa with the National Arts Centre Orchestra presented as part of the celebrations surrounding Canada’s 150th Anniversary. In an intense concert season, Russell reprises Peter Eötvös’s Senza Sangue in Rome and London, Brett Dean’s Knocking at the Hell Gate with the BBC Symphony in London, and Kaija Saariaho’s Cinque reflets aus: l’amour de loin with the Radio-Sinfonieorchester in both Stuttgart and Freiburg. He also performs Carmina Burana with l’orchestre symphonique de Montréal, Fauré’s Requiem and Brahms’s Four Serious Songs with the Toronto Symphony at Roy Thomson Hall, Elijah with Chorus Niagara, and Handel’s Messiah with the Nashville Symphony. Recent seasons have included performances of Brahms’s Vier Ernste Gesänge arranged by Detlev Glanert and Fauré’s Requiem with the Royal Concertgebouw Orchestra, Vaughn Williams’s A Sea Symphony with the Toronto Symphony Orchestra, reprisals of Peter Eötvös’s Senza Sangue in Bergen (Norway) and Göteberg (Sweden), a work he premiered in May 2015with the New York Philharmonic in Cologne and New York, his role debut as Pentheus in Hans Werner Henze’s The Bassarids with the Teatro dell’Opera di Roma and appearances as Count Almaviva in the COC production of Mozart’s Le Nozze di Figaro. Praised for her bright, elegant and lambent-toned voice, Canadian mezzo-soprano has performed in opera houses and with leading orchestras throughout North America and around the world. Norine’s refreshingly compelling, charismatic and touching interpretations bring vigour and dimension to her signature roles, including Maddalena in Verdi’s Rigoletto, Prince Orlofsky in Strauss’s Die Fledermaus, Siebel in Faust, Nicklausse in Offenbach’s Tales of Hoffmann. Her enormous success after an extended run as Miss Mary Lloyd in the Vienna Volksoper’s production of Kálmán’s Die Herzogin von Chicago has made it one of her most memorable characters: “she is so perfect in the role that it is almost impossible to imagine a production without her: she is charismatic, and brings depth and sensitivity to what could be an unsympathetic role. Her enthusiasm seems to light up the stage.” (MusicWebInternational). Other roles include Neris in Cherubini’s rarely-performed opera Médée which she performed at the Salzburg festival under the direction of Sir Charles MacKerras, Mother Marie in Dialogues des Carmélites (Arizona Opera), Meg Page in Falstaff, and 2nd Lady in Mozart’s Die Zauberflöte (Salzburg Festival). Concerts and recitals always figure prominently on Norine’s calendar. Notable concert engagements have included Mozart’s Requiem under Manfred Honeck in Leipzig and Halle, the Monteverdi Vespers conducted by Helmuth Rilling with the Oregon Bach Festival, Peer Gynt with the Toronto Symphony, Mahler’s Symphony No. 8 with the Montreal Symphony Orchestra and Charles Dutoit, Beethoven’s Symphony No. 9 with the Columbus Symphony, Beethoven’s Mass in C and Choral Fantasy with the Baltimore Symphony Orchestra, Elgar’s Dream of Gerontius with the Toronto Mendelssohn Choir, Handel’s Messiah with the National Arts Centre Orchestra and the Calgary Philharmonic in, Mendelssohn’s Elijah, Bach’s Christmas Oratorio, Bach’s St. John Passion and Healey Willan’s Requiem with the Kitchener-Waterloo Philharmonic Choir, Mendelssohn’s A Midsummer Night’s Dream with the Hartford Symphony and Haydn’s Mass in B flat Major, “Harmoniemesse” at the Salzburg Festival. John Greer is an active accompanist, vocal coach, arranger, composer and conductor and is heard in these capacities throughout Canada and abroad, in recital and on various CBC broadcasts. He is an honoured music graduate of both the University of Manitoba where he studied piano and composition with Boyd McDonald and of the University of Southern California where he was a student of pianists Gwendolyn Koldofsky and Brooks Smith and harpsichordist Malcolm Hamilton. As a faculty member of the University of Toronto opera division Mr. Greer made his conducting debut in 1983. He has conducted numerous operas there including The Marriage of Figaro, Gianni Schicchi, Tschaikowsky’s Iolanta and Massenet’s Le Portrait de Manon, as well as works for Victoria’s Opera Piccola, Ottawa’s Opera Lyra, The Banff School of Fine Arts, the Toronto Gilbert & Sullivan Society and Mirvish Productions. He has worked on numerous productions with Opera (Hamilton) Ontario and the Canadian Opera Company where he was chorus master for their 1989 productions of Un Ballo in Maschera and Il Barbiere di Siviglia and assistant conductor for their 1990 production of Suor Angelica. Mr. Greer has just spent five years as Music Director of the Eastman Opera Theatre in Rochester, New York where conducting credits include Le Nozze di Figaro, Candide, Albert Herring, Patience and The Turn of the Screw and two years as Music Director of the Opera Studio at the University of Maryland in the fall of 2001. From 2003-10 he was Director and Chair of Opera Studies at the New England Conservatory in Boston and made his conducting debut there with The Magic Flute. Other NEC conducting credits include Massenet’s Cendrillon and Britten’s The Turn of the Screw. For ten seasons his summers were occupied with his duties as General Manager and Head of Music Staff for the Janiec Opera Workshop at the Brevard Music Center in North Carolina where his conducting credits include A Little Night Music, La Cenerentola, The Mikado, Naughty Marietta,The Gondoliers, Brigadoon and the world premier of David Liptak’s chamber opera The Moon-Singer. Mr. Greer has also been on the music staff of Glimmerglass and Chautauqua Opera companies. He is currently Head Vocal Coach for the University of Kentucky voice and opera in Lexington, KY.
Mr. Greer ’s compositions include ten song cycles written for Canadian singers such as Catherine Robbin, Kevin McMillan, Mark Dubois, Tracy Dahl, Monica Whicher, and Adrianne Pieczonka and numerous works based on Canadian folk song. He has written two operas for the Canadian Children’s Opera Chorus, The Snow Queen based on the Hans Christian Anderson tale with a libretto by Jeremy James Taylor of Britain’s National Youth Music Theatre, and an adaptation of Oscar Wilde’s fairy tale The Star-Child with librettist Ned Dickens and a revision and orchestration of the 1889 Canadian operetta Leo the Royal Cadet by O. F. Telgmann, commissioned by Toronto Operetta Theatre. Dr. Andrea Levinson is the Psychiatrist-in-Chief, Health & Wellness, at the University of Toronto. She is responsible for the provision and management of psychiatric services to U of T students, primarily from the St. George campus. She supervises all of the psychiatric activity at the Service, and acts as a resource for the university community on mental health issues across the campus. Dr. Levinson has been an active faculty member in the Department of Psychiatry since 2007. Dr Levinson has extensive experience in youth psychiatry, having founded an early intervention clinic for young people with new onset bipolar disorder at CAMH. Currently, she is a staff psychiatrist at CAMH. On a personal note, she hails from Cape Town, South Africa and in a previous life majored in music performance. Her passions are her 4 children, attending live theatre and travelling to new and interesting places. Recognized as one of the world’s foremost harp virtuosos, Judy Loman graduated from the Curtis Institute of Music where she studied with the celebrated harpist Carlos Salzedo. She became principal harpist with the Toronto Symphony Orchestra in 1960. As a soloist, Judy Loman has won the admiration of audiences and critics alike across Canada, the United States, Europe and Japan. The Toronto Symphony Orchestra has featured her as soloist on several tours and she has appeared as guest artist with numerous other orchestras and ensembles worldwide. She has participated in many of North America’s music festivals and several of her performances have been filmed by Rhombus Media and aired on public television. A prolific recording artist, her extensive discography includes Judy Loman Favorites (Marquis Classics); Illuminations (Marquis Classics); Dance of the Blessed Spirits and 20 th Century Music for Flute and Harp with Nora Shulman, flute (Naxos); Harp Showpieces (Naxos); A Baroque Harp (Marquis Classics); and Musique de chambre française (Marquis Classics). She recently released a 2 CD album called Ariadne’s Legacy of all of the works for harp by R. Murray Schafer played by the harpists who commissioned them. Through these projects, she has been a recipient of Canada’s JUNO Award for Classical Recording of the Year and the Canada Council’s Grand Prix du disque Canadien. In addition to performances of traditional harp repertoire, Ms. Loman has commissioned several new works for her instrument by Canada’s foremost composers, including John Weinzweig, R. Murray Schafer, Glenn Buhr, Kelly Marie Murphy and Srul Irving Glick. She has introduced these compositions worldwide through her recordings and recitals in North America, Europe, Israel, and Japan. Highlights of her career have been the presentation of concertos by R. Murray Schafer, Glenn Buhr and Kelly Marie Murphy at several World Harp Congresses. Always seeking to add to the harp repertoire, she is active in transcribing classical and baroque works for the harp from the piano repertoire, as well as arranging folk and Christmas music for voice and harp. A dedicated teacher, Judy Loman is a Visiting Artist at The Curtis Institute of Music, Adjunct Professor of harp at the University of Toronto, a Fellow of The Royal Conservatory and Instructor of harp at The Glenn Gould School of Music. She gives master-classes worldwide and has adjudicated at the International Harp Contest in Israel, the USA International Harp Contest, and The Vera Dulova International Harp Competition in Moscow. In June of 2002 Ms. Loman retired from the Toronto Symphony Orchestra to devote her time to teaching, recording, concertizing, and publishing of her arrangements and transcriptions. To celebrate this new turn in her career the Toronto Symphony Orchestra and the Canadian Broadcasting Corporation commissioned a Concerto for harp and orchestra by Canadian composer Kelly-Marie Murphy that she premiered on June 12, 2002. In 2016 Judy Loman was made a member of The Order of Canada for her contribution to the Arts in Canada and in October of 2017 she celebrated her 80 th birthday with a solo recital and the launching of “Ariadne’s Legacy”. Much in demand as a vocal accompanist, Canadian pianist Carolyn Maule has worked with such renowned artists as Michael Schade, Monica Whicher, Patricia Racette, Isabel Bayrakdarian, Norine Burgess, Elizabeth Turnbull, and is often heard in recital with her husband, baritone Russell Braun. She has performed in London’s Wigmore Hall, New York’s Lincoln Center and Carnegie Hall, Barcelona’s Gran Teatre del Liceu, the National Arts Center, Roy Thomson Hall, Koerner Hall and accompanied recitals in Salzburg, Hamburg, Chicago, Cleveland and New York, as well as at music festivals across Canada. Carolyn Maule’s performances have been broadcast on BBC Radio, CBC Radio, Radio- Canada and WQXR-FM in New York. She is featured on recordings including Schubert's Winterreise (CBC Records) Le Souvenir (CMC Records), two CDs of Bach excerpts with the Toronto Bach Consortas well as recordings for the Ukrainian Art Song Project. Soprano Nathalie Paulin has established herself in the United States, Canada, Europe and the Far East as an interpretive artist of the very first rank. Winner of a Dora Mavor Moore Award for Outstanding Opera Performance, she has collaborated with internationally renowned conductors including Jane Glover, Kent Nagano, Yannick Nézet-Séguin, Antony Walker, Bernard Labadie, Sir Roger Norrington, Andrew Parrott, Hervé Niquet, David Agler, Jacques Lacombe, Michael Christie, Robert Spano, Graeme Jenkins, and Andrew Litton on both the concert platform and in opera. As well, critics have been lavish in their praise. Reviewing from Chicago, John van Rhein noted that “Paulin in particular is a real find; her rich, agile voice possesses great depth and allure, her manner radiates sensuous charm.” Ms. Paulin debuted for L’Opéra de Montréal as Mélisande in PÉLLÉAS ET MÉLISANDE and for Chicago Opera Theater as Galatea in ACIS AND GALATEA. She was re-engaged by Chicago Opera Theater for the title role in SEMELE and for Mary in LA RESURREZIONE, both by Handel. She has also been heard as Constance in DIALOGUES DES CARMÉLITES for Calgary Opera, Zerlina in DON GIOVANNI for L’Opéra de Québec, and Susanna in LE NOZZE DI FIGARO for Cincinnati Opera. The Dallas Opera featured her in CARMEN and CUNNING LITTLE VIXEN. Pianist, Steven Philcox, is Associate Professor at the University of Toronto where he leads the Collaborative Piano Program. One of Canada's finest collaborators, he is a frequent partner of Canada's vocal elite and continues to perform in leading concert halls across North America. From 1999-2010, Mr. Philcox was répétiteur, assistant conductor, and orchestral continuo player with the Canadian Opera Company where he had the privilege of working on more than 35 productions. Increasingly recognized for his teaching, Mr. Philcox has given masterclasses throughout Canada and is regularly invited to mentor young artists at many of Canada's prestigious summer programs: Opera on the Avalon, Toronto Sumer Music, and Vancouver International Song Institute (VISI). He has also held teaching positions at the Banff Center’s Twentieth Century Opera and Song Festival, the Chautauqua Summer Institute, the Center for Operatic Studies in Italy (COSI), and the Highlands Opera Studio in Haliburton, Ontario. Mr. Philcox' most recent endeavor is the Canadian Art Song Project (CASP) which he co-directs with tenor, Lawrence Wiliford. CASP's mission is to foster the development of new song through an annual commission and its performance as well as providing opportunities for Canadian artists to program and advocate the wealth of riches in the existing song literature. A graduate of the University of British Columbia, Mr. Philcox pursued his love of vocal literature for two summers at the Music Academy of the West, Santa Barbara, California. Subsequently, he went on to receive his Master of Music Degree in Vocal Accompanying from the Manhattan School of Music. Tracy Wong is a choral conductor, music educator, vocalist, pianist, and composer. She holds a Doctor in Musical Arts (Choral Conducting) degree from the University of Toronto under the tutelage of Dr. Hilary Apfelstadt after obtaining a Master in Music Performance (Choral Conducting) at the same institution. At U of T, Tracy was the co-conductor of the Women’s Chorus, and assistant conductor of Women’s Chamber Choir and MacMillan Singers. She is also a proud recipient of the 2016 & 2017 Elmer Iseler National Graduate Fellowship in Choral Conducting. Currently, Tracy is the Assistant Professor at McMaster University’s School of the Arts, the conductor of the Grand Philharmonic Youth Choir, and guest artist of the Hamilton Children’s Choir. Tracy has led choirs in Malaysia and Canada, including the University of Toronto Women's Chorus, Kuala Lumpur Children's Choir, Young Voices Toronto, and Mississauga Festival Youth Choir. Tracy's choral works have been published and performed by Malaysian, Canadian, and American choirs at international competitions and festivals. Tracy has completed the compilation of Nancy Telfer’s choral compositions, a resource for music educators and choral directors. This has led to her doctoral research, “From Page to Performance Through Pedagogy: The Choral Legacy of Nancy Telfer.” Other areas of inquiry include the performance practice and movement in Southeast Asian folk-based choral music. Thank you to University of Toronto for their continued support and encouragement. We respectfully acknowledge this concert is being held on land on which the University of Toronto operates. For thousands of years it has been the traditional land of the Huron-Wendat, the Seneca, and most recently, the Mississaugas of the Credit River. Today, this meeting place is still the home to many Indigenous people from across Turtle Island and we are grateful to have the opportunity to work on this land.